Since its formation in 2004, Bristol based Multiverse has been one of the key creative studios for developing the city's flourishing culture of forward thinking electronic music. Based around their recording studio in the heart of the city, the collective has consistently nurtured and supported electronic artists, both nationally and internationally, in the process creating a series of seminal releases that have helped shape today's current musical landscape. Through their network of labels which includes Tectonic, Kapsize, Earwax, Caravan and Build the work of the studio has focussed on exploring the uncharted spaces between genres, bridging together today's cutting edge sonic possibilities with electronic music's rich and diverse musical history. This intention has been accomplished with a strictly artist led approach and a commitment to supporting the work of new and innovative musicians and composers. The fruits of this creative labour are reflected here in this celebratory compilation. This double CD release offers a selection of highlights from the studio's recent history. Leading the charge are both Lion and Pop Pop by Vex'd, records that formed the first bridge between classic British industrial music and Dubstep, a fusion now championed by the likes of Surgeon, Distance and Milanese. This appears alongside Joker and Ginz's Purple City the track that spearheaded the emergence of the Purple Wow phenomenon. Also present is Pinch's Qawwali one of the key tracks that broke Dubstep to a global audience via Mary Anne Hobb's Dubstep Warz compilation. As expected Pinch's influence within Multiverse extends across the compilation through his collaboration with P-Dutty on War Dub featured in the movie Children of Men, and Get Up with Massive Attack vocalist Yolanda Quartey and Bristol legend Rob Smith. 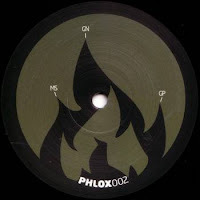 Equally the more avant-garde work of the studio is represented through Moving Ninja, an artist who pioneered the blurring of boundaries between dubstep and sound design and Emptyset whose eponymous debut album fused the streamlined European minimalism of Mika Vainio and Raster Noton with Bristol's unique bass heavy production style. This ground breaking selection of tracks sit alongside contributions by Techno-Dubstep pioneer 2562, half-step progenitor Loefah, Skream and Caravan label boss October. 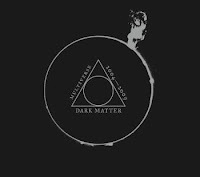 In the process Dark Matter creates a landmark archive of the work of one of the worlds most innovative creative networks of electronic producers. At the centre of this community is Bristol's thriving music scene in which Multiverse forms a key social hub, and the studio has operated with a family ethos that has placed creativity and artistic co-operation at the heart of their activity. Their collective approach places dialogue and collaboration as a vital and indispensable element within the musical process, an ethos that is entrenched within the city's creative history, and their focus as ever remains in working with a diverse range of artists to craft a unique an inimitable sound that speaks to a global audience. As a result Dark Matter emerges both as a celebration of all that has been achieved and forms a decisive manifesto for an unwritten future. An elemental space where electronic music collides with new digital processes and avant-garde composition, a place where sound becomes the raw sculptural mass of the sonic languages of tomorrow. Our pioneers on the intriguing Austrian dubs frontier, return with this their second outing on wax - Group Niob, the collaborative work of both label heads Gerhard Potuznik and Martin Sovinz. 'Vector' continues further with exploratory mining into the oneforty bpm dubbed into technoid seam - its low end is devious and drills itself clean inside the synapses, mirages of dub cascading either side.